Do you think by the time I die someone will have invented a way for me to take all my precious objects with me to the afterlife? I ask because my husband is always telling me to quit buying "stuff" for the house. He claims the point of life isn't to buy more stuff, and he also claims (incorrectly) that we have enough "stuff" already. 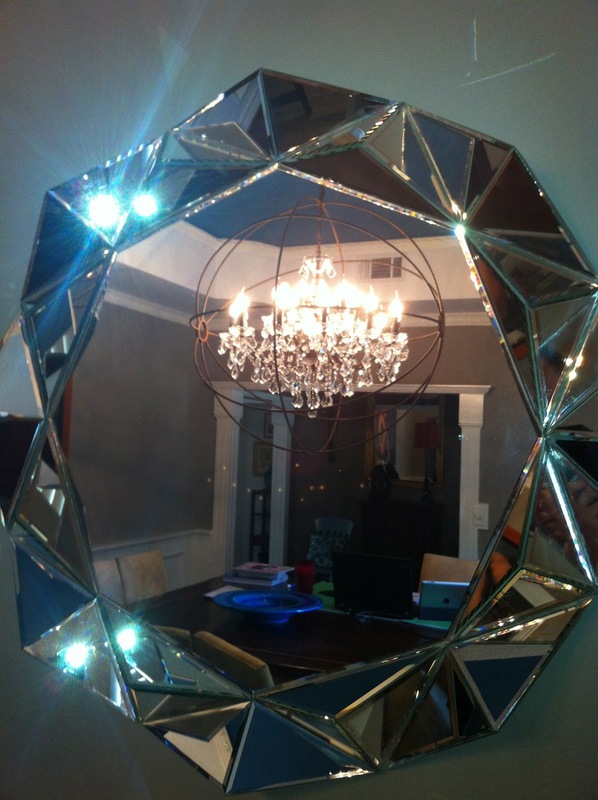 Of course, we didn't have anything on the west wall in the dinning room, which means when my uncle and I discovered this mirror at Wisteria a few weeks back I knew I had to have it. Have you ever seen a mirror like that? I like objects that are beautiful and interesting. Of course I have to be smart about these things. I cannot just go spend $200 on a mirror....while my husband is in town. I waited until he flew off to his MBA program, and then I returned some stuff at Costco and got $170 in cash, and then I went to Wisteria and picked up the mirror! It was a sample which means they only had one. Then later in the week I went and picked my husband up from the airport, which saves him $60 in a cab fare. 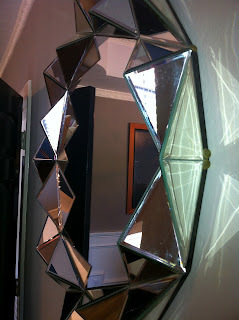 All-in-all, I saved my husband so much money I would have bought two mirrors if they had two. They only had one, and now it's all ours! We live a charmed life. Honey, the economic opportunity you are sinking into "stuff" cannot be offset by these so called savings. You are playing with fuzzy math and your cost curves are growing with diseconomies of scale and thus are unsustainable at the current trajectory. this sounds exactly like me. totally relate. and I totally want to take my owl measuring cups with me to Heaven when I die.